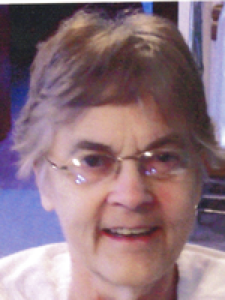 Barbara Ann O&#39;Leary, 71, 2215 S. County Rd. 25A, Sidney, Ohio died at Dorothy Love Retirement Community, Sidney, Ohio on Monday, January 12, 2009 at 12:31 PM. She was born December 26, 1937 in Sidney, Ohio the daughter of Chester and Florence (Coffield) Simon and they are deceased. She was married on August 23, 1958 to Tom O&#39;Leary and he died in 1994. Surviving are three children, Mrs. Bradley (Kris) Berlekamp of Sidney, Ohio; Mitch O&#39;Leary and wife Kelly of Sidney, Ohio and Mrs. Darren (Angie) Covault of Sidney, Ohio and eight grandchildren, Cortney O&#39;Leary, Ryan O&#39;Leary, Shannon O&#39;Leary, Peter Berlekamp, Ellen Berlekamp, Thomas Covault, Jack Covault, Emma Covault and two great-grandchildren; two brothers, Richard Simon of Sidney, Ohio and Thomas Simon of Sidney, Ohio and one sister, Debra Latimer of Columbus, Ohio. Two sons, Keith and Andrew O&#39;Leary are deceased. She was a 1956 graduate of Holy Angels High School in Sidney and was a member of Holy Angels Catholic Church. She had worked at the Shelby County Treasurer&#39;s Office at one time and was a homemaker. A Mass of Christian Burial will be held on Thursday, January 15, 2009 at 10:30 AM at Holy Angels Catholic Church with Rev. Jason Bedel. Burial will be at Graceland Cemetery in Sidney. Friends may call at Salm-McGill and Tangeman Funeral Home in Sidney on Wednesday, January 14, 2009 from 4-7 PM. Memorial contributions may be made to Holy Angels Grade School, 120 E. Water St., Sidney, Ohio 45365. Envelopes will also be available at the funeral home.